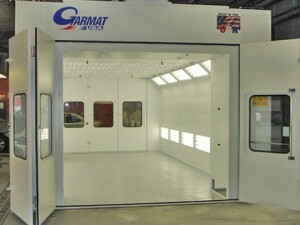 Eldridge Body Shop, Inc. is equipped with three full sized, Garmat, climate controlled down draft spray booths which are held to the highest standards of maintenance to insure the highest quality, finished product. We use the highest quality refinishing material and paint mixing system available on the market. Today’s modern factory finishes incorporate multiple layers of highly specialized paints. We take special pride in our ability to match factory finishes.